For the first time in Dota 2 history, there will be no defending champion at this year’s International (barring the very first). 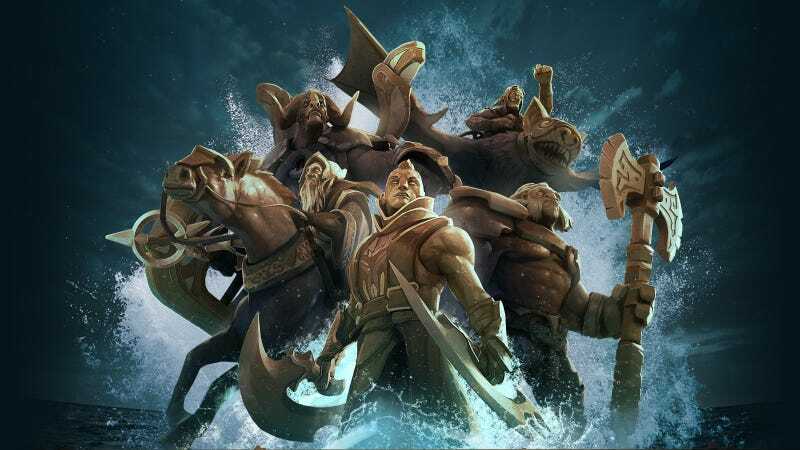 As the dust clears from this week’s regional qualifiers for the biggest tournament in Dota 2, the Chinese bracket has ended in defeat for all five defending champions of last year’s International 6. Wings Gaming won the 2016 International, and with it, the lion’s share of over $20 million in prize money. In the time since, the roster has experienced rough seas. After a falling out with its parent organization, leading to the five-man roster becoming Team Random, that squad also dissolved leading up to The International 2017 qualifiers. Its five players scattered across three teams, all would have to play in through the qualifiers to make it back to Seattle to defend their title. The one-role carry player Chu “Shadow” Zeyu went to Team Eclipse, while mid laner Zhou “bLink” Yang and Li “iceice” Peng formed Team Dango with other notable Chinese Dota players. Both teams failed to make it through the open Chinese qualifiers, with Dango coming the closest in a 2-1 loss to EHOME.Keen in the first round finals. Zhang “Faith_bian” Ruida and Zhang “y`” Yiping joined the established EHOME roster, which received an invite to the regional qualifiers. Despite a promising lineup, a 4-5 finish in the round-robin stage eliminated them. For the runners-up of The International 6, the former Digital Chaos, their hopes are still alive. David “Moo” Hull is in play-in contention with Complexity Gaming in the North American qualifiers. His team will play the other four former members of Digital Chaos, still together as Planet Odd, in today’s semifinal match.